Click on “Load Contact File” button to load recipient numbers. 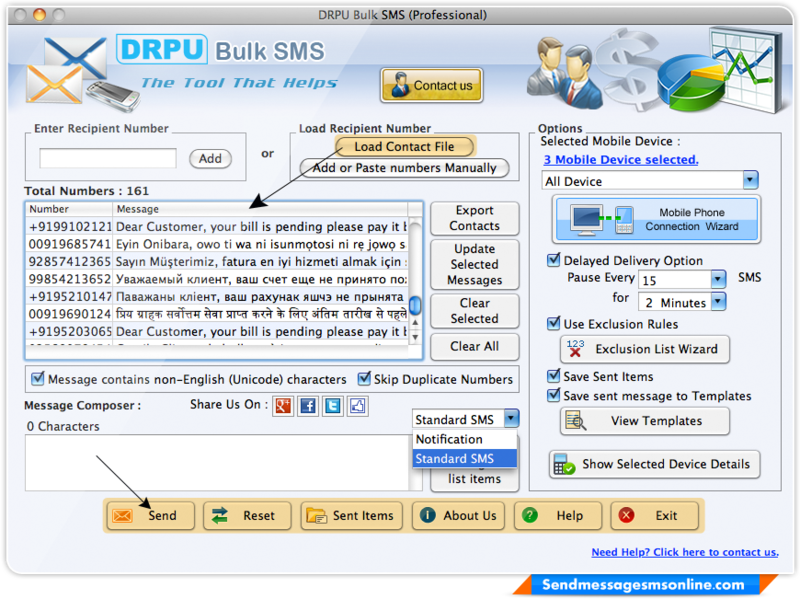 Choose different options from right panel and send messages by clicking on “Send” button. 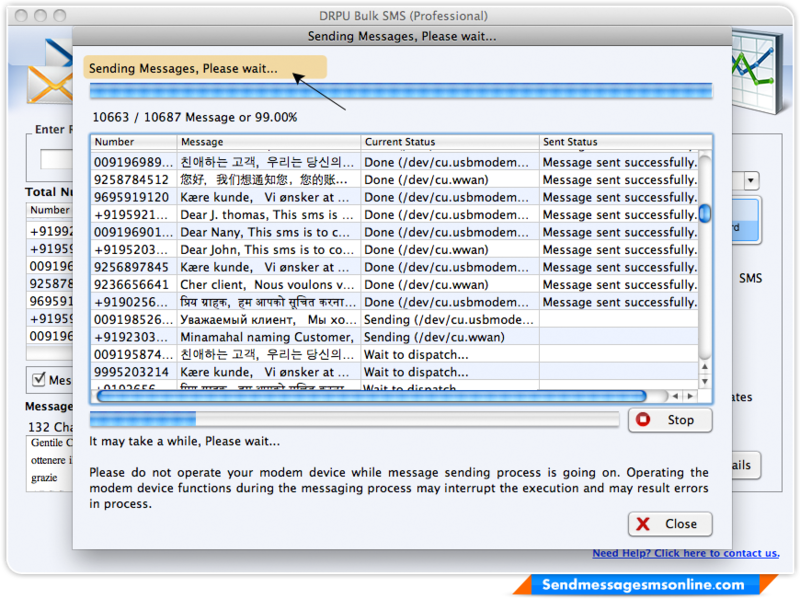 Progress bar displays current status of message sending process.